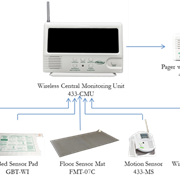 Increase caregiver freedom with this simple, streamlined system. 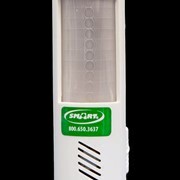 Eliminates in-room alarm noise with a range of up to 300 ft. 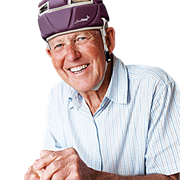 Increased Caregiver Freedom. 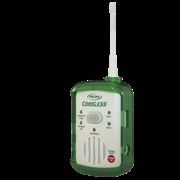 The TL-5102TP is a Stand Alone Personal Paging System and includes two Call Buttons and one Caregiver Pager. 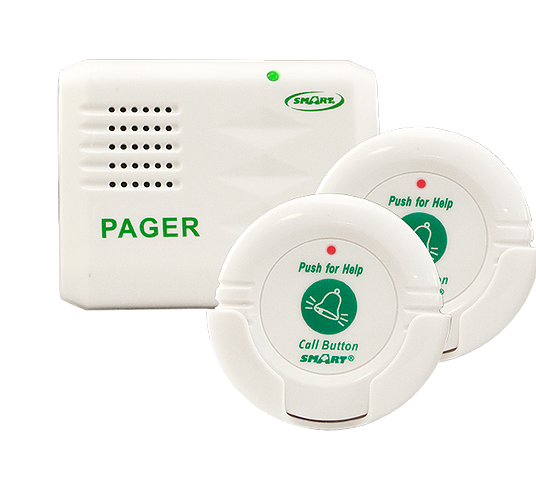 When pressed the call button sends a signal to the pager to alert the caregiver. 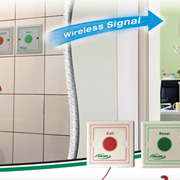 Call buttons can be worn around the neck or fixed to the bed or wall. 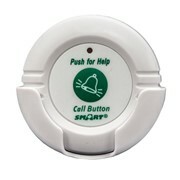 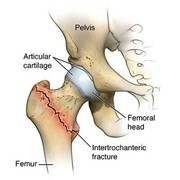 This fall prevention alarm enables residents to call for help before they get up or fall and fracture a hip. 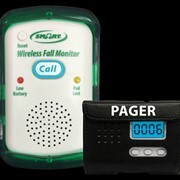 This simple, streamlined system allows you to eliminate in-room alarm noise and with a range of up to 300 ft., caregivers have the freedom they need.Easy Push-Button Operation The call buttons can be worn about the neck using the provided lanyard strap or wall-mounted using the provided plastic cradle for easy access.Versatile Pocket-Sized Pager The Caregiver Pager has two audible sounds to choose from and is small enough to be carried in a pocket or clipped to a belt. 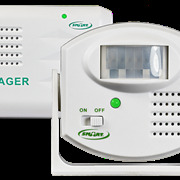 Key Features: Insert batteries and it’s ready to use-Audible alert pager with adjustable tone-Range up to 300 ft.-Lanyard Strap & Wall-Mounting Cradle Included-Pager Battery Operated (2-AA) a product detail. 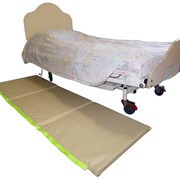 I'm a great place to add more information about your product such as sizing, material, care and cleaning instructions.